Florida Divorce & Family Law Archives | Florida Law Advisers, P.A. There are many types of alimony (spousal support) available under Florida divorce law. See Florida divorce law 61.08. Two easily confused types of alimony are Bridge-the-Gap and Rehabilitative alimony. Bridge-the-Gap alimony is designed to help a person transition to become a head-of-household. On the other hand, rehabilitative alimony is to financially support a specific plan to obtain financial independence. This area of the law can be confusing, please contact a divorce law firm in Tampa for assistance. The purpose of rehabilitative alimony is to help a spouse who served in a supportive role learn or develop new skills, so that they can live a fruitful life on their own. See Florida divorce case Canakaris v. Canakaris. Some common examples of rehabilitative spousal support are attending college, trade school, or assistance with obtaining a professional license. In order to receive this form of alimony, you must have a specific plan and intent to execute that plan. Rehabilitative spousal support can be modified or terminated based on the fulfillment or lack of fulfillment of the rehabilitative plan. For example, if the rehabilitative plan was to go to cosmetology school and the recipient drops out, the rehabilitative alimony may be terminated by law. Conversely, if one determined that cosmetology school was not for him or her, the rehabilitative plan could be revisited (with the assistance of a divorce law firm ideally) so that a new plan can be established or modified. Rehabilitative alimony is a complicated topic and there are many types of alimony in the state of Florida. 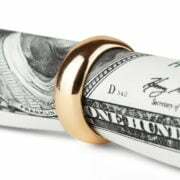 You should speak with an experienced divorce attorney in Tampa to ensure that you are receiving or paying the right type and amount of alimony for your situation. Florida Law Advisers, P.A. has years of experience in both advocating for and against alimony. Our attorneys know what factors are important to Florida family law judges and can aggressively fight for your rights. If you would like to speak with a divorce lawyer in Tampa call us today at 800 990 7763. For many, filing for divorce in Florida can sometimes be a long and tedious process. Florida divorce law has a complex web of statutes which must be successfully navigated. However, a divorce case in Florida can be summed up in many ways by using the PEACE acronym. The PEACE acronym represents all major parts of a typical divorce in Florida and can help guide you through the process. Each part of the PEACE acronym is important, so if you need assistance contact a divorce law firm in Tampa for assistance. 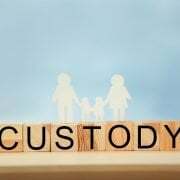 If the parents are able to reach an agreement on the terms of child custody among themselves a judge will typically ratify the agreement, so long as the terms do not conflict with Florida child custody law or policy. If there is no acceptable agreement, the judge will decide the terms of the parenting plan based on what the judge considers to be in the best interest of the child. Florida law does not give any preference to mothers or fathers when deciding child custody matters. Instead, the custody arrangement will depend on the specific facts and circumstances of each case. See Williams v. Williams. In a Florida divorce case, marital assets and liabilities are subject to an equitable distribution. Generally, the court will start with the premise of dividing marital assets and debts 50/50. In Florida, the law requires that a court equally distribute a marital asset unless a “legally sufficient justification for an unequal distribution is given based on the relevant statutory factors.” See Hitchcock v. Hitchcock. For advice on how to unequally divide marital assets contact a Tampa divorce attorney to schedule a consultation. Obtaining an unequal distribution of a marital asset in Florida can be difficult without legal counsel. Alimony, which is also frequently referred to as spousal support is payment from one ex-spouse to the other. The fundamental principal guiding an award of alimony is the disparity in financial resources of the two parties. Under Florida divorce law, there are five types of alimony a judge can order as part of a divorce in Florida. The forms of alimony are; temporary, bridge the gap, rehabilitative, durational, and permanent alimony. See Florida divorce law 61.08. A judge may award any combination of these types of alimony. Further, alimony payments can be made periodically or as a lump sum. In a case involving minor children, Florida courts will defer to the Florida Child Support Guidelines for determining child support. The Guidelines outline how much child support will be required by each parent based on their net income, the number of children involved, and the custody arrangement. In a Florida divorce case, the judge will strictly follow the Florida Child Support Guidelines. However, the court does have some discretion to deviate from the guidelines, when it is appropriate to do so. Do you want your name changed? Do you need to file bankruptcy in addition to divorce? 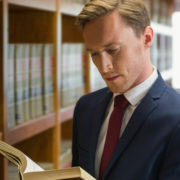 There may be parts of your family law case that you didn’t know existed. Contact an experienced divorce lawyer for a comprehensive strategy on how to best handle your case. 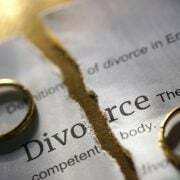 If you need assistance with divorce case in Florida contact Florida Law Advisers, P.A. to schedule your free consultation with a family law attorney in Tampa.